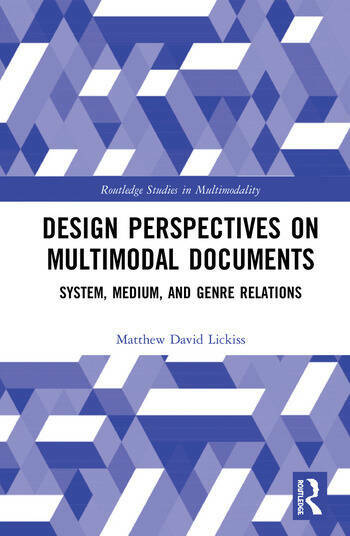 This volume integrates multimodal theoretical frameworks with those from graphic communication and information design and applies this critical synthesis to the examination of the changes and relationships that occur when multimodal documents are distributed across various means and channels of consumption. Drawing on examples from popular newspapers and store catalogs, the book’s specific focus is on documents as sets, here defined as the collective of all the assorted forms of a document published across multiple mediums and modes. This approach affords a multi-layered analysis of multimodal documents more broadly, in addition to engaging in questions about the very definition of a document and the terminology we use in relation to documents, including genres, mediums, and modes. As both a critical examination of the theoretical frameworks employed in literature on documents and a way forward for new approaches to analyzing multimodal texts, this volume is key reading for students and scholars in multimodality, graphic communication, design, media studies, and information science. Matthew Lickiss is Research Assistant and Sessional Lecturer at the Department of Typography and Graphic Communication at the University of Reading, UK.